Good Morning Everyone. Let’s make some pancakes! 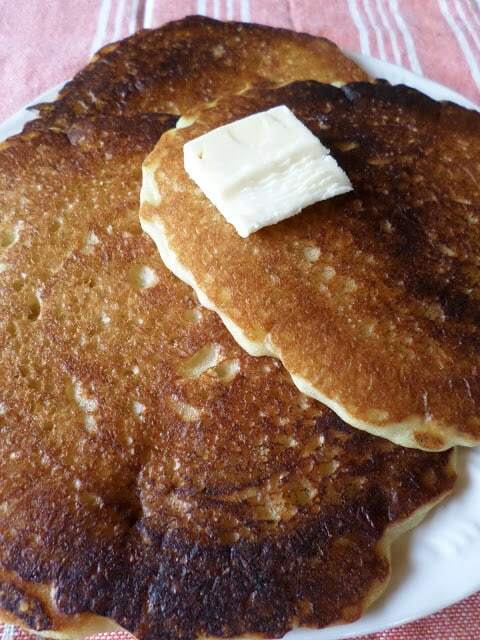 This fast and easy recipe for sourdough pancakes is adapted from the cookbook; Simply Sourdough, The Alaskan Way by Kathy Doogan. This super cookbook has given me many delicious sourdough recipes. I’ve tried over half of the 40 recipes featured in the cookbook. Each and every recipe has turned out. All of the recipes that we have shared during our week long series; A Week of Sourdough Recipes, only one recipe ‘Big Batch Sourdough Biscuits’ isn’t from Simply Sourdough. In a large bowl, add sourdough starter, sugar, egg, oil and salt. Mix well; set aside. When ready to cook, gently fold the baking soda/water mixture into prepared pancake batter. Let the mixture bubble and foam a minute or two before using. 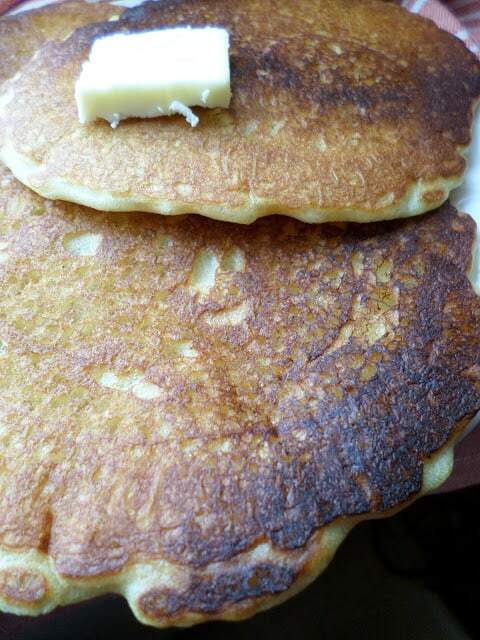 Lightly grease hot griddle, pour batter onto hot griddle, turn pancakes over when bubbles appear on the surface. Flip and cook until golden brown. Serve with maple syrup.